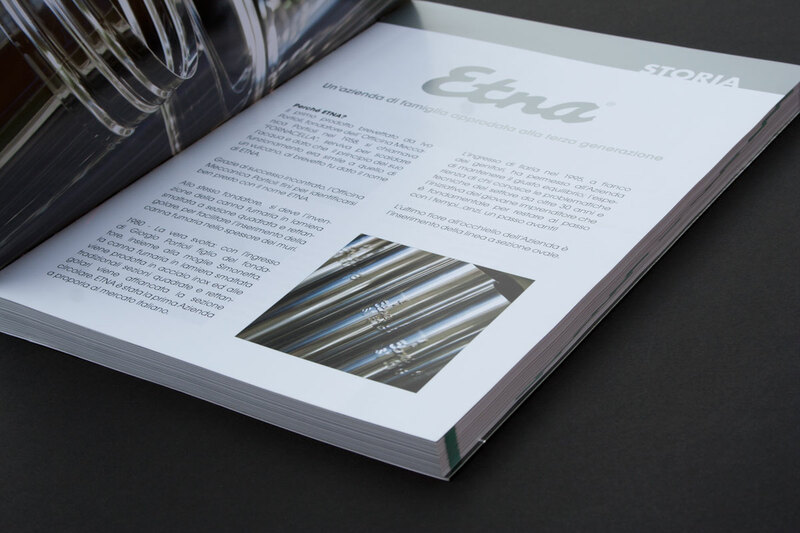 Based in Northern Italy, ETNA has been one of the leaders in the production of stainless steel pipes and accessories for over 50 years. 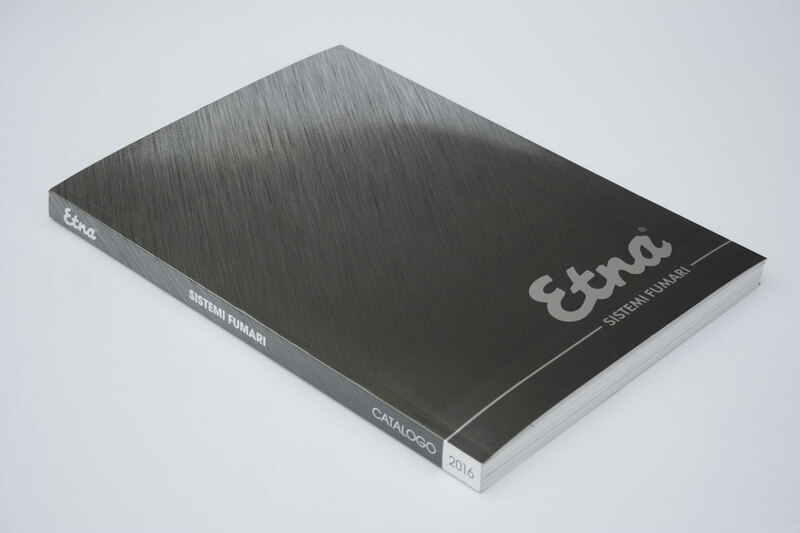 In past, the company had produced separate catalogs for each of their line of products. 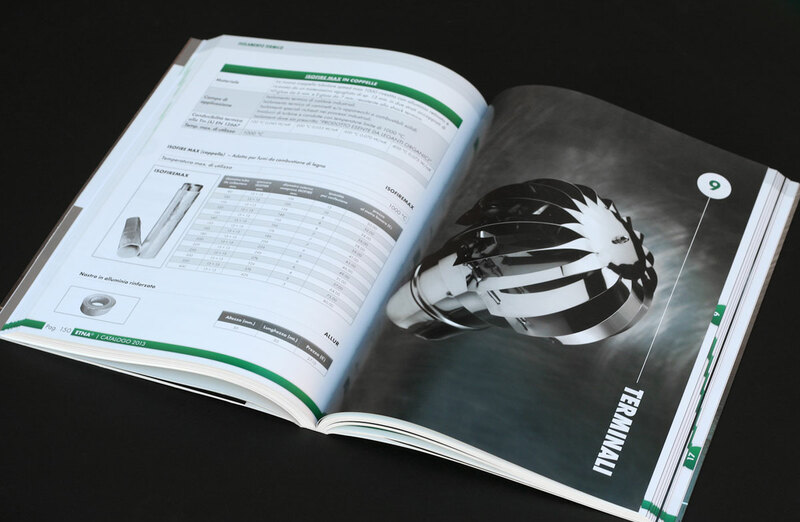 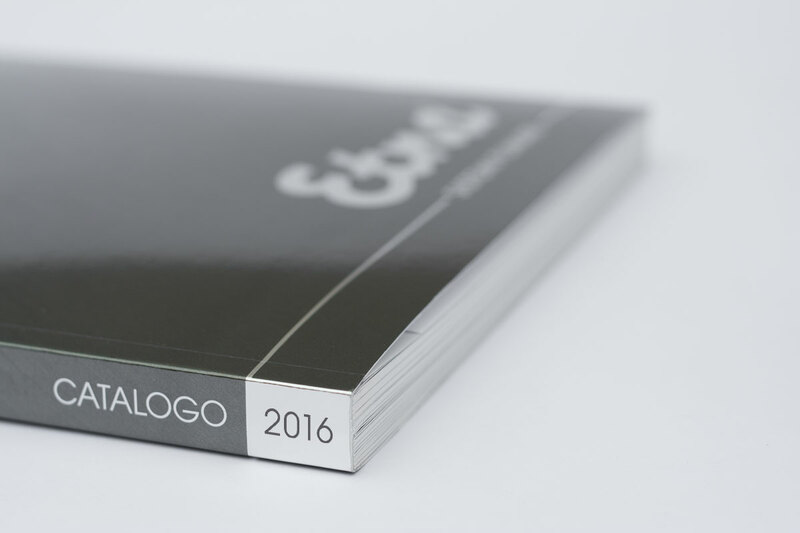 For this project they wanted to unify all their products in a single catalog. 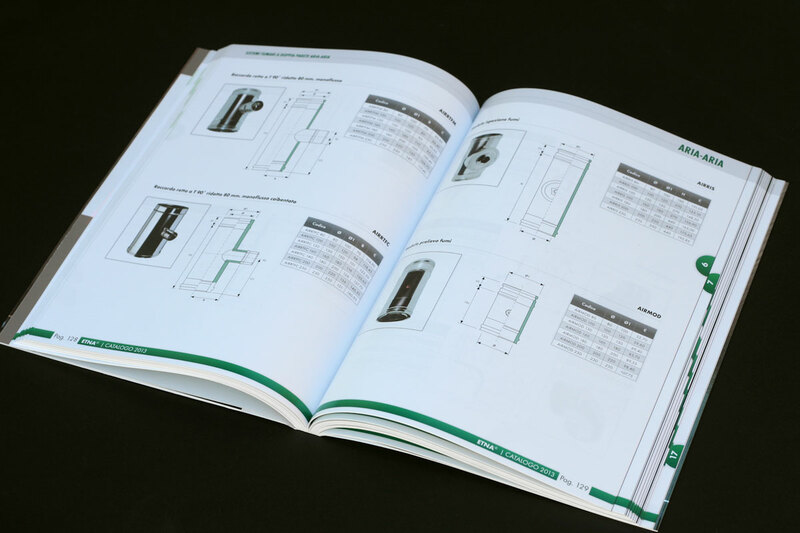 It turned out to be a catalog of 253 pages! 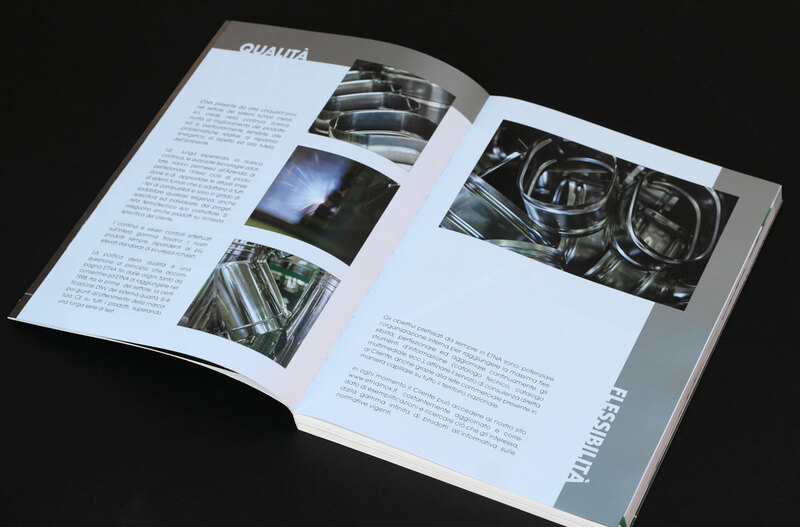 The project was a long one since it involved thousands of products – each involving images, technical diagrams, spec charts, etc. 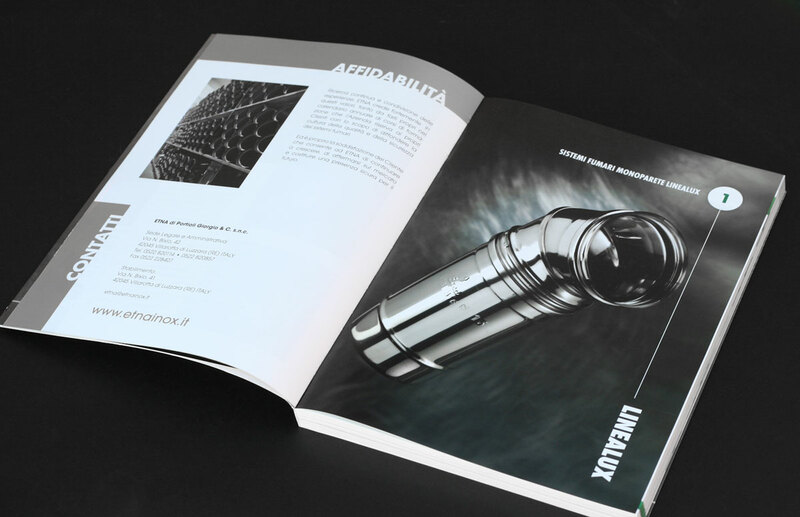 So this was a highly technical and detailed project (vs a creative/artistic one), but in the end there was great satisfaction in seeing a professional finished product – the fruit of lots of people’s labor.